Nick played his Football as a young lad with Aston Villa FC at under age level with the youth Team. ​Coaching qualification - UEFA A licence International coaching experience - Amputee Football, Ireland Power chair Football, Ireland Blind Football. Declan has played at the Highest Level in Ireland he has also played at International level in Ireland with a staggering 21 junior international Caps. Declan was also capped for Ireland at underage level with 4 Youth Caps. Declan played with Limerick FC and spent 5 years at the club, becoming a very versatile left footed player. When Declan finished playing at the top level he turned his attention to management and took over at Pike Rovers in Limerick and managed to become, in that time, 3 FAI Junior Cup winners including one as a manager, Munster senior cup winners, 5 Munster junior cups. Simon Baker lost his leg in 2004 in a building site accident, since then he has pushed every conceivable boundary in his attempts to prove that amputees can be athletes too. Simon has forced the public to focus on the ability amputees possess rather than the disability the loss of a limb evokes. Just four years after his accident Simon set a Guinness World Record for the fastest marathon run on a pair of crutches and one leg in the Dublin City Marathon. He took up White Collar Boxing in 2010, training with Olympic Gold Medallist Michael Carruth, before completing an epic walk of 240km from Dublin to Limerick in five and a half days on his crutches in 2011. Simon competed in the Dublin City Marathon for a second time in 2012, using a prosthetic running blade, in the hope of unearthing Ireland’s first blade runner to compete at future Paralympic Games. In April 2011 Simon, with help and support of the FAI’s Oisin Jordon, founded the Irish Amputee Football Association. Simon has remained the driving force behind the IAFA. From lowly beginnings, with a squad of just five players, Simon has grown the association steadily, assembled a dedicated backroom team and attracted new players. 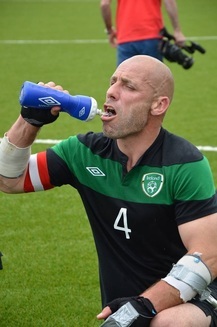 In August 2013 Simon was responsible for bringing the sport of Amputee Football to the Irish public in the form of a showcase event, The Paddy Power Cup, hosted in the University of Limerick. The tournament, the first of its kind to be held in Ireland, saw six European nations compete over two days for The Paddy Power Cup trophy. Simon is captain of the IAFA’s International squad and is looking forward to leading the team out in Mexico at the Amputee World Cup later this year. Former League of Ireland star and Junior International Christy McElligott lost his leg in a road traffic accident in 2000. Christy began his career in professional football at 18 when he was signed by Brian Kerr at St. Patrick’s Athletic. Christy was part of the 1995/96 league winning side and became the League of Ireland’s most expensive footballer when he was transferred to Monaghan United the following season for £2,000. 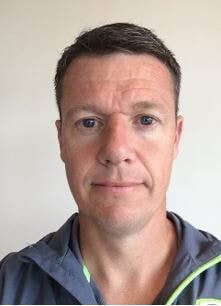 Christy returned to play amateur football for his hometown club, Ballymun United FC in 1998 and went on to captain the side to win the FAI Junior Cup. Between 1998 and 2000 Christy won 17 Junior International Caps and was named Junior International Player of the year. 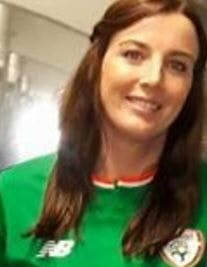 Christy was one of the founder members of the Irish Amputee Football Association. Christy has made several appearances for the International team, representing his country again in his return to football, but has turned his attention to coaching the squad who will compete at the Amputee World Cup in Mexico this year. Christy’s unrivalled knowledge of the game and his exceptional tactical awareness are priceless assets for the Amputee squad. A leader by nature Christy hopes to guide the IAFA to Mexico and beyond in the years to come. After taking part in Operation Transformation, Christy lost a whopping 2st 3lbs. This weight loss along with his drive and determination has allowed Christy to hang up the clipboard and get back onto the crutches where he has now rejoined the squad as a striker. Alan Heary BSc. 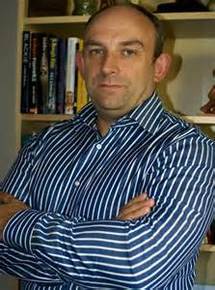 has been working in the fitness industry for over 25 years and holds a degree in Sport Science and Health. 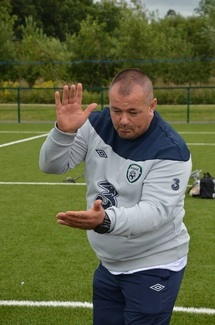 Recognised as one of Irelands top high performance coaches his clients have included World Champions, Olympic athletes, and both professional and amateur football teams. Alan's work with the Australian Institute of Sport at the Sunshine Coast University, Queensland, included preparation of Australian National teams, for major competitions. A keen cyclist, in 2008 Alan successfully transformed a team of cyclists from leisure to elite riders before entering them in the toughest bike race in the World, The Race Across America (RAAM), an ultra-endurance race of over 3,000 miles. With only six months preparation this team not only smashed the Irish record but narrowly missed out on winning the event. Alan was introduced to the IAFA through his work with Simon Baker, IAFA International squad captain, in his attempt to complete the challenge of running the Dublin City Marathon on a prosthetic blade in 2012. 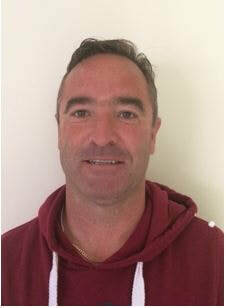 Alan commenced his work with the IAFA in 2013 and has been working intimately with the squad and staff in their bid to prepare a team to compete at the Amputee World Cup in Mexico 2014. Alan’s infectious enthusiasm and professionalism has already seen the squad reach new heights in fitness and technical ability but the hard work continues as their common goal draws ever closer. ​Specialising in Injury Prevention, Louise has worked in the fitness industry for 13 years. Louise saw a gap in the industry for fitness instructors to better understand those who don't fit into generic fitness programmes and went on to study sports massage and advanced functional rehabilitation over 7 years ago in order to understand how the body works and how it needs to compensate and be treated when it gets injured. During this time Louise went on to work in hydrotherapy and personal fitness for 5 years and worked as a physiotherapy assistant in Brisbane before opening up her own practice full time in 2015. In the search for more knowledge Louise had returned to college and is now a 3rd year Physiotherapy in UL. Daniel began his role as a kit man after the World Cup in Mexico in 2014. 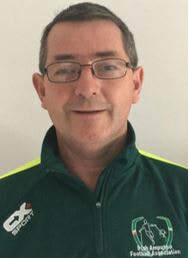 Dan has now been a long serving figure within the Irish Amputee team. Ever since the association was set up 6 years ago, Daniel has been a great support to the squad members and is the go to man when they need something, be it water, kit or towels. He is a father figure to the squad members and has earned the respect of them all. No task is too big or small for Daniel as he supports the coaching staff enthusiastically and to the best of his ability.